On April 16, Dutch Parliament will vote to ask the government to initiate the “emergency brake” procedure to suspend visa-free travel for Albanians in the Schengen zone. Dutch Parliament yesterday debated a motion proposed by MPs Madeleine van Toorenburg (Christian Democrats), Jeroen van Wijngaarden (Liberal Conservatives), Jasper van Dijk (Socialist Party), and Nico Drost (Christian Union). The Christian Democrats, Liberal Conservatives, and Christian Union take part in the coalition government of Dutch Prime Minister Mark Rutte. Together with the opposition Freedom Party, which has indicated to support the motion, they have a majority in Parliament. According to the motion presented by the four parties, the main argument for initiating the “emergency brake” is a significant increase in criminal activities by the Albanian mafia in the Netherlands. The MPs argue that the visa liberalization for Albania was contingent on several conditions, including the fight against international crime. The increase in organized crime by Albanians suggests that the Albanian government has failed to contain this problem. According to MP Van Toorenburg, who has worked for UNMIK in Kosovo, there are 6 times more Albanians in the Netherlands than officially registered, and she quoted a police investigator from Rotterdam who “had never seen such a violent group” as the Albanian mafia. The Dutch government may, in principle, choose to ignore the motion. 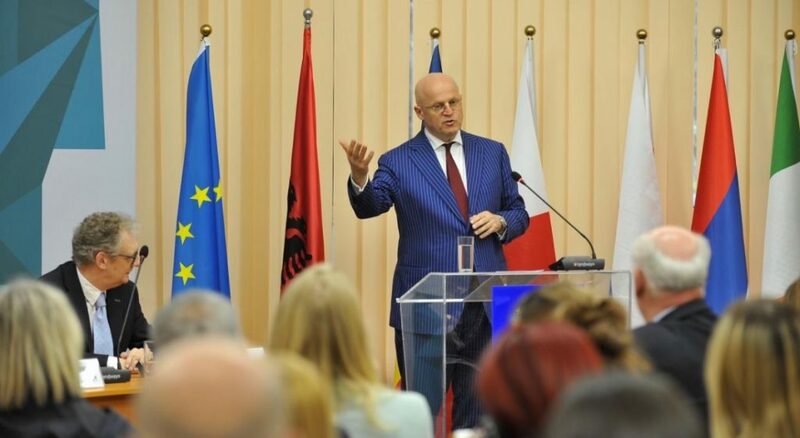 Recent visits by Dutch Minister of Security and Justice Ferdinand Grapperhaus and State Secretary of Asylum and Migration Affairs Mark Harbers to Tirana, however, suggest that the Dutch government is seriously concerned about international crime by the Albanian mafia. On December 15, 2010, the EU put a visa exemption for Albania in place by amending EC Regulation No 539/2001 from March 15, 2001 through EU Regulation No. 1091/2010, in which Albania was moved from the list of third countries which require visa to the list of third countries that are exempt from that requirement. The suspension mechanism for visa liberalization agreements, including the one with Albania, is regulated through EC Regulation 1289/2013. According to this regulation, the visa exemption for a third country may be temporarily suspended “in an emergency situation.” The motion filed in Dutch Parliament basically qualifies the exceptional rise of Albanian crime as such an emergency. Two years ago, on February 27, 2017, the European Council revised the suspension mechanism for visa liberalization agreements, including the one with Albania. This amendment allows the European Commission or a simple majority of member states to suspend the visa liberalization. If a simple majority makes such a request, the EC immediately has to temporarily suspend the visa waiver for 9 months, during which the EC has to negotiate with the third country to come to a solution. If no such solution is found, the suspension is extended with 18 months. Albania is largely moslem. Is the crime in the Netherlands tinged with jihadi terror elements?